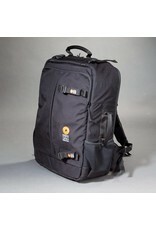 The photo rucksack for all your trips. We made the Boris big enough to fit an 800mm tele (without camera mounted, of course) and still complies to the regulations for all airlines to take it with you as in-cabin hand luggage. The box-model is very convenient and will give you plenty of room for a lot of gear. 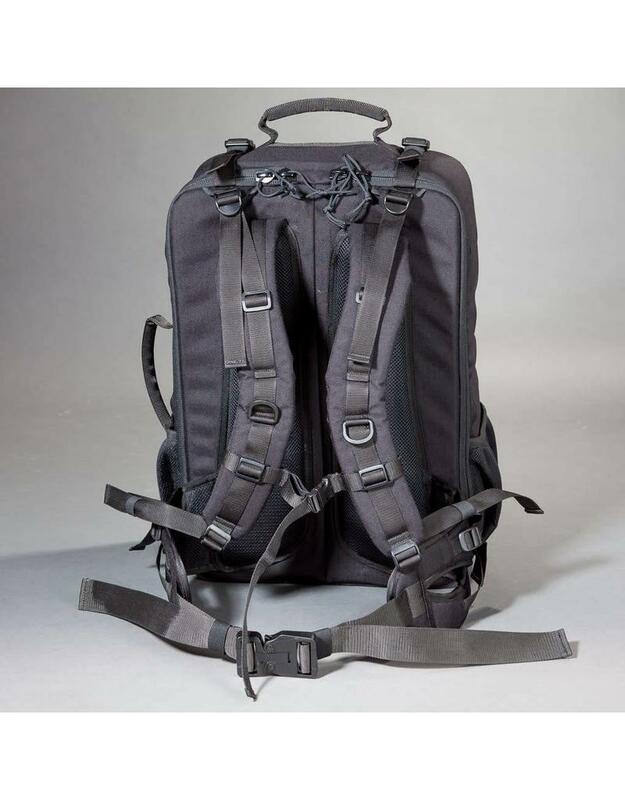 While the inside is fully velcro-looped, the dividers (11 in 3 sizes) and the removable pouches (5 in two sizes) gives you all the possible freedom to fit it to your gear. 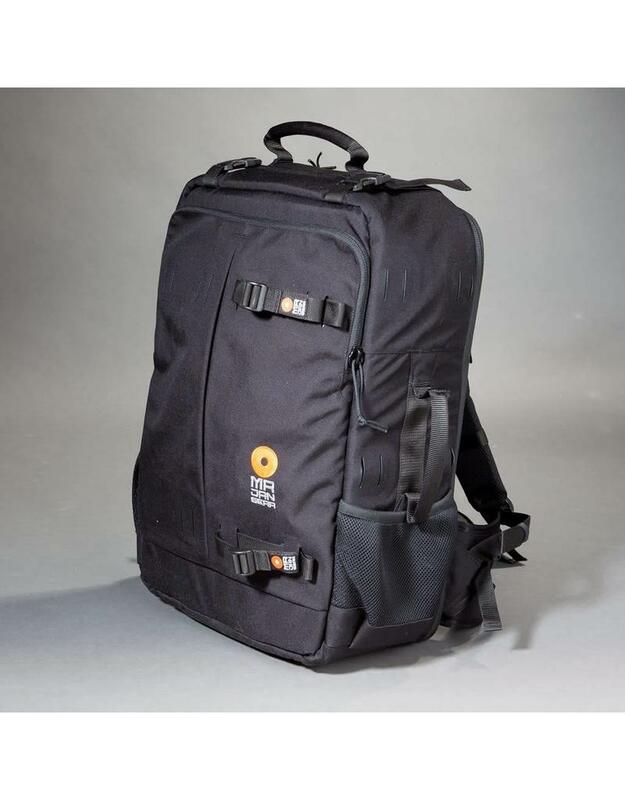 The pack sports two large compartments and is opening on the backside to keep your carrying system clean and dry and to have very easy access. 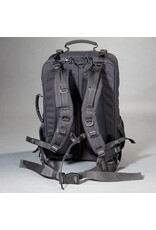 The backpack will be delivered with a nylon bag for storage and other purposes – you wil find a use for it anyway. We improved the over-all design on quite some points. The grips are bigger and more comfortable. Even with winter-mittens there is no problem to grab the bag. We changed the dividers and added a big-lens support and a flexible divider. The front pocket is redesigned to a very flat design but lots of room for maps, food, gloves or as temporary storage for a laptop. The belt is now (proudly) equipped with a CobraBuckle from AustriAlpin. This is the best buckle – period.